Police investigate the shooting death of an NJIT student at a frat house near campus. A New Jersey Institute of Technology student was fatally shot at his Newark fraternity house during a robbery early Monday morning, police say. Shots were fired in a robbery attempt at about 3:30 a.m. at the Tau Kappa Epsilon house on Dr. Martin Luther King Boulevard, police said. The victim, 23-year-old Joseph Micalizzi, was taken to University Hospital, where he was pronounced dead. Micalizzi studied mechanical engineering and graduated from Freehold Township High School in 2011. His best friend from high school, Tyler Gdovian, said that last time he talked to Micalizzi he mentioned not feeling safe at the frat house. Micalizzi told his friend he had been robbed twice that semester. "No one wants to hear this news," Gdovian said. NJIT said that it was "saddened" by the death and that the school is extending thoughts and prayers to Micalizzi's family and friends. The national organization that oversees the TKE chapter at NJIT likewise said it was saddened by the shooting. Streets surrounding the fraternity house were cordoned off Monday morning as police investigated. Students said they woke up Monday to an email alert about the killing. One, junior Asad Ahmed , said he's now worried about his safety. "I can't even walk around the block," he said. "That's how scary this is now." 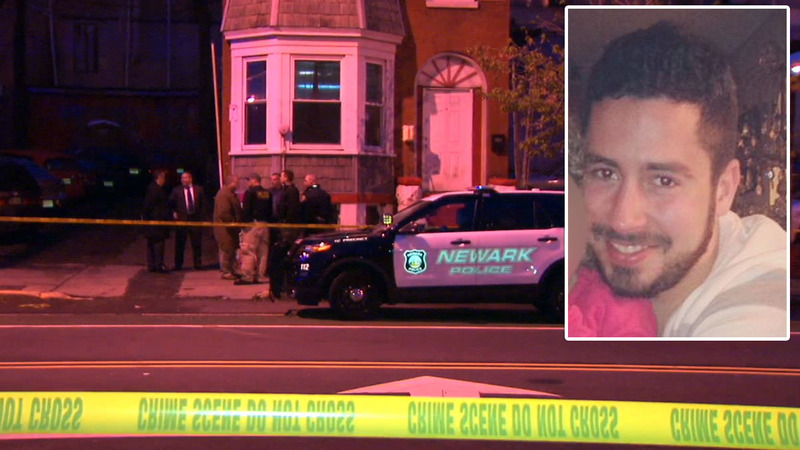 It's the second fatal shooting in Newark involving a college student in the last month. On April 10, Rutgers University - Newark student Shani Patel was shot and killed at his off-campus apartment. Marcus Feliz, 25, was arrested in the Toms River 21-year-old's death. Authorities and the college are offering a $20,000 reward for information leading to an arrest in Micalizzi's death. Anyone with information should call the Essex County Prosecutor's Office at 1-877-TIPS-4-EC. A vigil has been held for a New Jersey Institute of Technology student shot to death during a burglary at a fraternity house near the school. Joseph Micalizzi was killed early Monday at the Tau Kappa Epsilon house. People formed a ring at the Newark campus Tuesday night, lighting candles in Micalizzi's memory and sharing memories they had with him. The Freehold man had been a member of the fraternity and a mechanical engineering major. He was in his second year at NJIT after transferring from Brookdale Community College in Monmouth County. The university says it plans to ramp up patrols and distribute information on safety resources, including campus police escorts. Essex County prosecutors say no arrests have been made and no suspects have been identified. Police have made an arrest in the murder of a New Jersey Institute of Technology student killed during a burglary at a fraternity house near the school earlier this week. Authorities announced the arrest of a suspect and said a second suspect is still at-large during a news conference Friday afternoon in Newark. Authorities in Newark announced on Friday an arrest and named a second suspect in the fatal shooting of a college student. Joseph Micalizzi was shot and killed early Monday during a burglary at the fraternity house where he was a member. The 23-year-old Freehold resident was a mechanical engineering major and had made the dean’s list last fall. Essex County officials announced murder, burglary and weapons charges against 18-year-old Nafee Cotman, of Irvington. He was in custody and police say they are still searching for 22-year-old Taquan Harris, who faces the same charges. Investigators at the scene of the NJIT fraternity house where Micalizzi was shot dead. Cops arrested two people Friday in the killing of a New Jersey Institute of Technology student during a burglary at his fraternity house. Nafee Cotman, 18, and Taquan Harris, 22, were taken into custody and charged with the murder of Joseph Micalizzi, 23, who was fatally shot early Monday. Cops said Friday that Irvington resident Cotman was accompanied by 22-year-old Taquan Harris, of Newark, when they broke into the back door of Micalizzi’s frat house and shot him twice. In addition to murder, both men face robbery, burglary and weapons charges. Members of the Tau Kappa Epsilon fraternity hold a vigil for Micalizzi on May 3. Bail for Cotman was set at $1 million. The bail for Harris was not immediately available. Micalizzi was a mechanical engineering major at the time of his death and his good grades landed him on the dean’s list last fall. He had been living in the Tau Kappa Epsilon house, which is situated across the street from the Rutgers-Newark campus — near where a student was murdered in a double shooting last month. After Micalizzi’s death, NJIT offered a $10,000 reward leading to the successful prosecution of those responsible. Two men charged in the fatal shooting of a New Jersey college student during a burglary at his fraternity house have pleaded not guilty to felony murder and other charges. Eighteen-year-old Irvington resident Nafee Cotman and 22-year-old Newark resident Taquan Harris entered their pleas during a brief court hearing Tuesday. The judge maintained the $1 million bail set for each of the men, who remain jailed. The men are charged with murder, felony murder and weapons offenses in the May 2 death of New Jersey Institute of Technology student Joseph Micalizzi. The 23-year-old Freehold resident was killed at the Tau Kappa Epsilon house. At the time of his death he was a junior and a mechanical engineering major. Institute officials awarded a posthumous degree to him during their commencement ceremony Tuesday. Two men charged in the fatal shooting of a New Jersey college student during a burglary at his fraternity house have been indicted on felony murder charges. Nineteen-year-old Irvington resident Nafee Cotman and 22-year-old Newark resident Taquan Harris also face murder, robbery, burglary and weapons charges in the indictment made public Wednesday by Essex County prosecutors. Both men remained jailed on $1 million bail each and are due to be arraigned on Oct. 17. They have previously pleaded not guilty in the slaying. 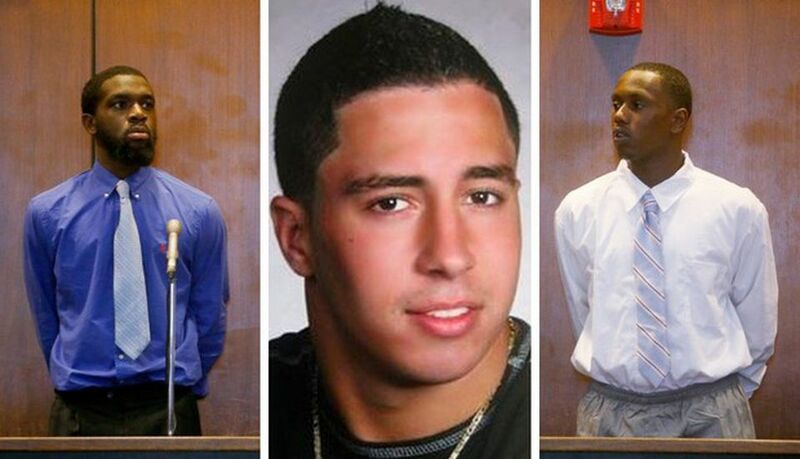 The charges against them stem from the May 2 death of New Jersey Institute of Technology student Joseph Micalizzi. The 23-year-old Freehold resident was killed at the Tau Kappa Epsilon house.